Get a visual breakdown of your disk space in form of an interactive map, reveal the biggest space wasters, and remove them with a simple drag and drop. Discover what’s hiding inside the “Other” storage category and clear it up. Recover disk space by finding and removing large useless files. Featured in the “Essentials”, “Best of Mac App Store” in 2015, 2013 and 2011, “Get Productive”, “Get Stuff Done” and “Invaluable Utilities” editorials of the Mac App Store. Over 500 reviews in the media including major titles like Forbes, TechRadar, Lifehacker, Gizmodo, MacRumors, 9to5mac, Macworld, TUAW, MacStories and many others. 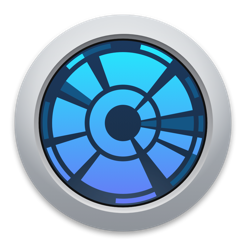 - Added a preference tab to help users add DaisyDisk to the "Full Disk Access" list in System Preferences, when necessary. - Fixed bugs and compliance issues. I've been using DaisyDisk for a pretty long time now (> 3 years) and honestly its the best disk space visualisation tool i've used ever. It scans quickly and the results are clear and very well presented. I can't really think of a way it could be improved. I usually wouldn't bother to review it but did a scan today to clean some stuff up and noticed a large amount of 'hidden' files. DaisyDisk showed a notice that it couldn't show what the files were, however, because, as an app store app, it couldn't request the appropriate permissions and directed me to download the standalone version. A lot of developers would take the opportunity here and double dip and charge you again but just took a download and it automatically transferred my license for free.. that is just a stand-up way of doing business. 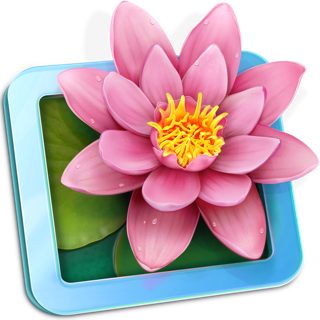 It is a fast beautiful app that I consider to be fairly essential and cant recommend highly enough. I’ve used Daisy Disk since early 2013, and it is a delight: visually appealing, and an extremely effective way of finding and removing clutter on your computer, or identifying space hogs that might be candidates for optimizing. If you care about that sort of thing (and I understand if you don’t), this is a superb tool, and well worth the price. UPDATE October 2018: from 5 stars to 2. Disk Xray Lite lacks the visual appeal, but is free and 10-15X faster at scanning large directories (which in my case are not even that large: <90 GB). UPDATE November 2018: I appreciate the developer’s response, which I received by email (don’t know where to find it here). I did another test: Daisy Disk scanned my entire home directory in 48 seconds; Disk Xray Lite in 08 seconds (OK, only 6X faster). The latter is also visual, despite what the developers of Daisy Disk imply, and in fact while not as pretty, it is actually easier to visualize file sizes because they display as horizontal bars. I’m pretty sure the human brain is better equipped to compare the size of bars oriented in one direction to “pie slices” all oriented in different directions. Thanks for your feedback, but the reported numbers may be inexact. I've just launched the said app and it's completed scanning of my home folder in 31.4 sec, while DaisyDisk scanned the same folder in 10.4 sec, i.e. 3 times faster. Maybe you were misled by the intermediate scanning results that the other app shows during scanning? Note that those are not really useful until the scanning completes. In all our tests, DaisyDisk has demonstrated the fastest scanning performance, in range of 3 to 20 times faster than other apps, because we put special emphasis on the scanning speed and our engineers have developed unique know-hows to achieve this. Also note that the scanning speed, while an important factor, is not all you'd want from a disk analyzing app. The visualization is what determines your efficiency of finding and removing the biggest space wasters. And again, according to our experiments, DaisyDisk's map is proving to be the most efficient method of the data presentation, in most cases. In short, it's because human mind compares visual objects' sizes much faster and easier than it reads strings of text and numbers. We appreciate your feedback and if you have additional questions or suggestions, feel free to contact our support! UPDATE Nov 11, 2018: Thanks for the additional information. I have repeated my experiment on a clean machine and realized that the said app does not scan the entire selected folder. It skips big chunks of data, and for this reason it sometimes misleadingly appears faster. In my case, it missed the ~/Library folder, skipping 5.4 GB out of the total 5.7 GB. Actually, a lot of other folders were missing in the report too. 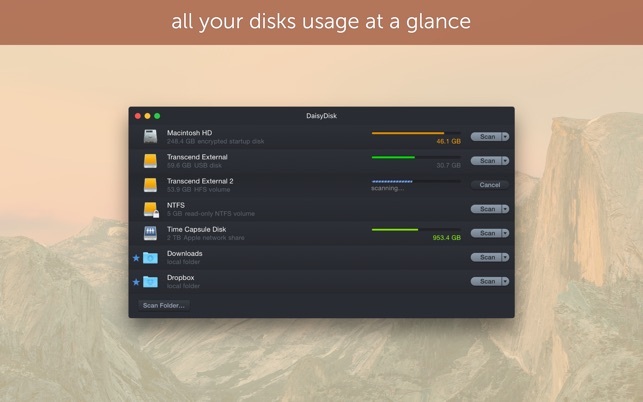 Please, could you compare the output to DaisyDisk? Overall, when scanning actually happens, the speed is always way slower than DaisyDisk. Speaking of bars vs sectors: indeed, linear bars could be implemented as an alternative design that allows to compare sizes visually, however in that particular implementation you have a text table extended with bars, which is a suboptimal combination in many regards. I could go into lengths discussing different designs that we have considered before we landed at the sunburst map, but not sure the reviews are the right place for it :) The question is all about efficiency and easiness of use, in all senses. I have a 3 TB fusion drive and, although I only have 500 GB used, I still want to see what is taking up space. In this configuration, a 15 GB directory on the fourth level of the ring is so small it's difficult to get the mouse to hover over it. There are two things this app could do to be more useful for me. First, it could add a toggle to exclude free space from the ring, so the 500 GB of used space I currently have takes the entire circumference. Secondly, the ability to scroll/zoom in would be useful as well. Some view preferences in general would not go amiss. The app looks very nice, but the above and its complete lack of configuration make it mostly useless for me. Edit: I have noticed the ability to click on a section in a ring to effectively zoom in on this area. I am increasing my rating, but still deducting a star because I think this is a bit unintuitive. Thanks for your thoughtful feedback! It’s true that DaisyDisk is designed to help you focus on the biggest files in the first turn, because removing them is the shortest path to the app’s goal – to free up space. This is achieved by giving small files less visual weight and occasionally even hiding them from view to reduce visual noise. That said, DaisyDisk allows you to view the small files too, when necessary. To “zoom in” you need to click on the desired folder to change the current level of hierarchy and therefore the level of detail (linear zooming would not add more information because it doesn’t change angular sizes). Besides, on each level of hierarchy you can use the sidebar list which contains all, even the smallest files, and therefore always covers the use case you mentioned. The same goes for the case when free space dominates on your disk (btw if so, the problem of low disk space doesn’t exist :). We believe that current design strikes the optimal balance. It’s optimized for the most important use cases and still covers the rest of cases. That said, we continue to improve it and at some point we may add more possibilities like the ones you mentioned. Note that we intentionally strive to minimize the number of options, by integrating the functions directly into the design and you use them naturally when you need them and without noticing, which is exactly how good UI design should work, in our opinion. © 2008-2019 Software Ambience Corp.